The napoleonic soldier uniform in a fun online drinking game. 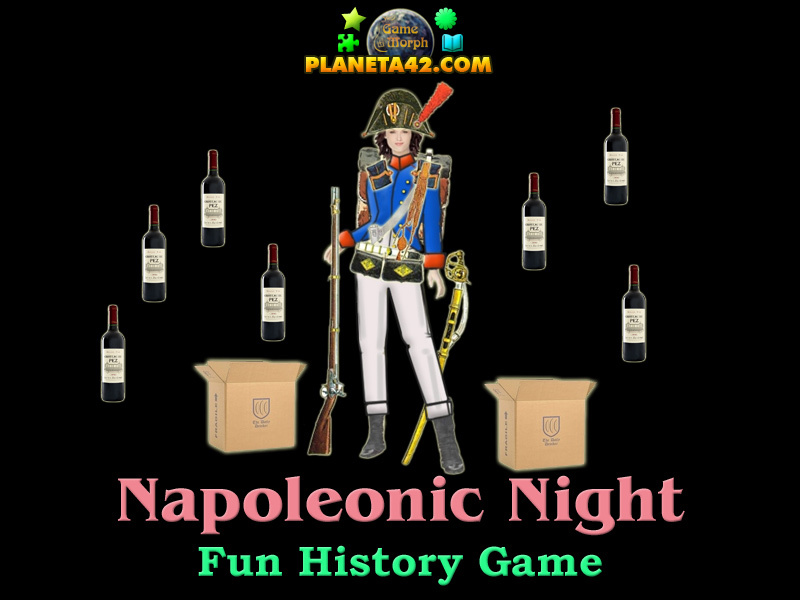 "Napoleonic Night Game" is a small knowledge level game, to play for fun. How to play Napoleonic Night Game. 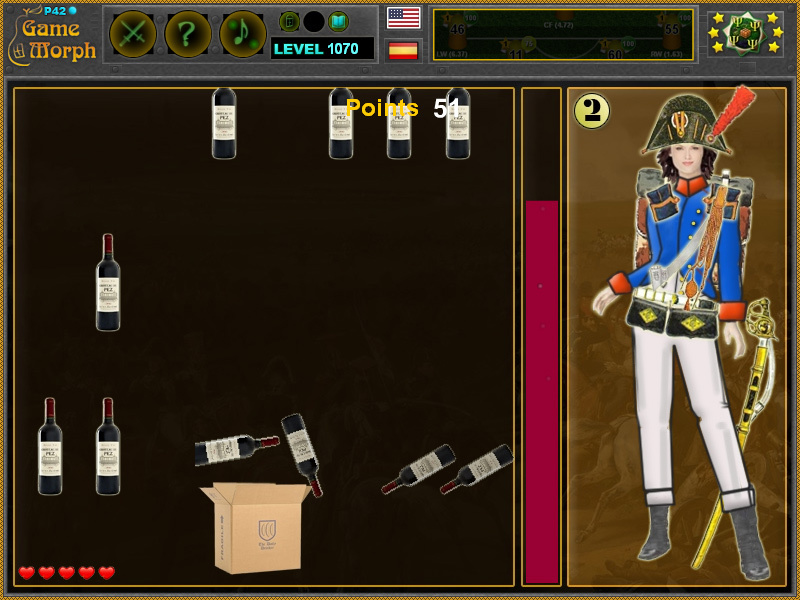 Move the box of wine with the mouse and try to catch as many bottles of wine to drink with the Napoleonic women soldier. Every 30 bottles of wine she will remove one of her combat equipment in this fun dressing game. Labels: History Games , Napoleon Games , Arcade Games , Dressing Games , Knowledge Games , Fun Games , Free Online Games.